I had two significant runs in 2009. The first was an early morning run on November 14th. My dad and I woke up early that morning and bundled up to go running in the Avenues neighborhood in Salt Lake City in a snow storm that would become a bit of a blizzard a few hours later before clearing up and leaving the world absolutely beautiful. My parents met while they were working at LDS Hospital there in the Avenues and their first place after they got married was a basement apartment in the Avenues. They were living there when I was born at LDS Hospital. We ran past both of those places plus a few others. A few hours after that run Brett and I got married. Because Brett knows running keeps me same we agreed that me training for a marathon while planning for our wedding would be a good idea. 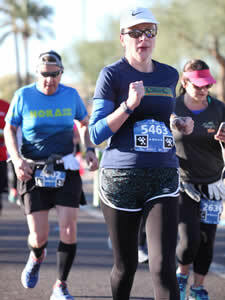 So almost one month exactly after we got married I ran my third marathon, the Tucson marathon. I spent the first 25 miles cursing the head wind and the last mile and a bit cursing whoever planned the route to end going uphill and last couple hundred yards in sand. Because really? In 2010 I talked Brett into running a Turkey Trot in Bountiful, Utah. There had been a huge winter storm a few days before and it was still well below freezing. But no wind and lots of sun so it actually wasn’t that bad. He did the 5K and I did the 10K. It was his very first race. I was looking forward to running while pregnant. I even read a book about all the benefits to both the mom and the baby if you exercise while pregnant. But then there were some complications with Iddo’s pregnancy as well as Shimri’s and Shimei’s. So I never got a chance. The closest I got was a 6 mile run the morning of our IVF transfer that gave us Shimri and Shimei. I did get back to it as soon as I could after every time. When Iddo was six months old we got our BOB running stroller and I loved taking her out running. And she loved going. Her first race was the Boneyard 5K in March of 2014. It was Brett’s second race so that he could watch her. She wore a running outfit my dad had bought for me to wear when I was a baby and he took me running. Her second race was the Deseret News 10K in July of 2014. Since the race finishes down the Pioneer Parade route and the race is on Pioneer Day, I wore a pioneer bonnet the whole time and I decorated the stroller to look like a covered wagon. We heard a lot of cheers as we finished and the newspaper even ran a photo of Iddo getting her finisher’s medal at the end. When Shimri and Shimei were born we were gifted a double jogging stroller. Their first race was the Boneyard 5K in October 2016. This involved telling them not to eat or hit each other. And the double stroller was a bit tricky to get through the crowds on the small dirt paths, but it was a whole lot of fun. Shimri wore my running outfit this time. So far this is the only time Brett has ever run with a stroller. The Boneyard in 2016 was at the start of me training for my first half marathon, the Mesa-Phx race. Through the end of 2016 and the start of 2017 I was increasing my mileage and having some of the best runs of my life. I ran on my own in the mornings on weekdays and then on Saturday I’d either take Iddo out in the single jogger or the twins in the double. Iddo started getting a bit bored on my really long runs so I even did a few where I would do several miles with her and then run past the house and switch kids and strollers to finish my run. I loved running with the stroller because it held my water for me. Three weeks before my race I started to seriously consider that I might actually be pregnant. 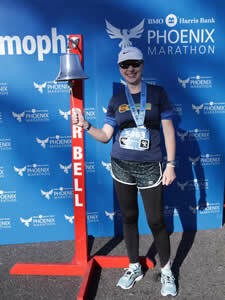 Two weeks before the race we confirmed that I was. Since I clearly hadn’t had any complications with the pregnancy and my running to that point we went forward with the race. I was a day shy of 24 weeks with Izri on race day. Which meant he’d actually been with me for the Boneyard race a few months earlier too. 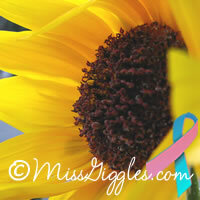 I was finally getting my opportunity to run while I was pregnant, a thought that choked me up every few miles. I was grateful for him giving me that chance. My dad was able to track me digitally on the race and when I finished he congratulated me on my race, “Good job on the run. You were consistent on the pace. Have fun racing with [Iddo]. Send pictures.” I got cleaned up from my race and then Iddo ran her very first race, a kids 1K fun run. The race photographer snapped a photo of us finishing. The next year, 2018, I ran the 10K, my dad tracked me again and when I finished told me, “Right on target. I followed the first half; then the weather cleared so I went for my walk. It started raining again just as I got home. Congrats to you and your family.” Afterwards Iddo ran her third race and Shimri and Shimei ran their first races and there was another photo at the finish. In August 2017 my parents celebrated their 40th wedding anniversary and we all got together for a week for it. As part of the celebration my dad got all of us running shirts and we had a family race with Grandpa. Since it’s still hard to find races that aren’t on Sunday I’ve started doing virtual races, since a big part of racing is the t-shirts and I can still get those with a virtual race. My first virtual race was for the solar eclipse in 2017. It was my first run after Izri was born and it was humid as all get out. My dad had done his run for it earlier in the day before it was quite so warm. My most recent one was for the 50th anniversary of the Apollo 8 mission. Our whole family did it at the park and we had some friends join us. We’re looking forward to doing the next virtual runs for the Apollo missions later this year. And there is a 5K near Christmas that also has a kids 1K that Iddo and I have done two years in a row now. Izri’s first race in the stroller was the Christmas race just two months ago. When I go out running I track my mileage with the MapMyRun app. I would leave notes about which kid I took and how windy it was, because the wind makes a huge difference when pushing a running stroller, as does the weight in the stroller. Eventually my dad started leaving notes about the wildlife he saw on his morning walks and it became part of my daily routine to wake up in the morning and see how his walk had gone and then later in the day report on my run around the neighborhood or my walk taking Iddo to and from school. There is a cactus on the corner of our street that we discovered blooms in a spiral and so every day I’d include a photo of the cactus so we could watch the blooms work their way into the center till the last bloom in October. I wasn’t literally going out running with my dad every morning any more, but through technology we were still able to get out and do our miles together. It was a milestone on October 30th to share with him that Iddo had ridden her bike with me for my whole three mile run that evening. The older three now love to go for a mile or two with me on their bikes when I go running. I love running with my kids. I love passing it on to them as my dad passed it on to me. Glad I could start being a part of it (even on the days I just snap photos).